Drs. 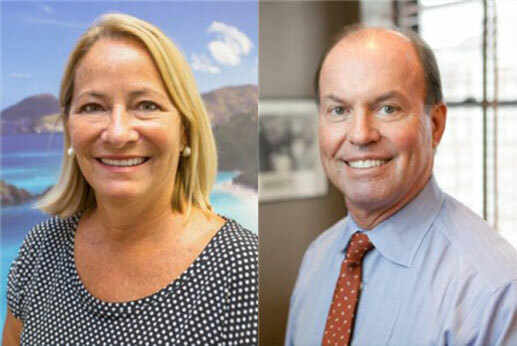 William Roberts and Tanja de Marsche have over 36 years combined experience and provide Orthodontic services and Invisalign braces from their 2 offices located in Center City, Philadelphia, Pennsylvania and Lawrenceville, New Jersey. Drs. Roberts and de Marsche and our staff are highly experienced and competent in adult and adolescent orthodontic care. In fact, we have treated nearly 1000 Invisalign cases and are one of Philly’s top providers of Invisalign! We are committed to excellence in dentistry and will work in coordination with your general dentist or dental specialist. Orthodontics are not one size fits all. Nor, is an orthodontist. In fact, many patients are surprised to discover they are good candidates for multiple types of orthodontist treatment. Teens may expect that they are destined for the metal brackets and wires of traditional braces but Invisalign Teen could be a viable option. Adults may shy away from braces entirely when subtle solutions are available to straighten their teeth without interrupting their life. Drs. 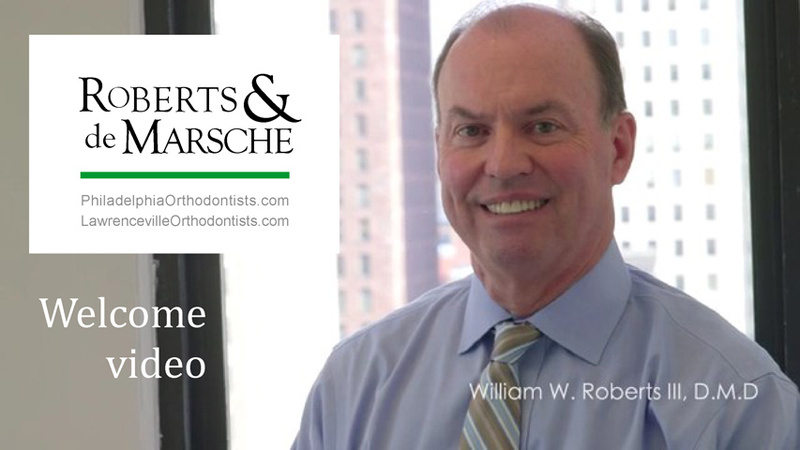 Roberts & de Marsche are an established team of orthodontist experts serving the Philadelphia area, with two conveniently located offices in Center City and Lawrenceville, NJ. Braces and teenagers are a common duo, but the orthodontia a teen receives will vary depending on the positioning of their teeth. Traditional metal braces are used to correct overbites, underbites, crossbites, overcrowding, and large gaps. But, in many cases, and depending on the severity of the misalignment, Invisalign Teen can be used to correct these conditions too. General dentists refer many adolescent patients to our offices, where they undergo a thorough exam by Dr. William Roberts or Dr. Tanja de Marsche. From there, appropriate treatments are recommended, decisions are made, and we begin the path to creating a beautiful, aligned, comfortable smile. We understand that teens want to draw the least amount of attention to their teeth as possible when they’re wearing braces, so we make every accommodation to give our youngest patients confidence in their appearance while their teeth are being corrected. Braces don’t have to be a painful rite of passage. Getting braces at any age is a big deal, but making this decision as an adult is even more significant. You have a family, a career, an established social network. You have people who know how you look and don’t expect you to change. And the last thing you want to do is feel like you are a metal mouth past the age of 20. Traditional braces are much smaller and unobtrusive than decades ago, but the idea of obvious braces is unappealing to most adults. Invisalign braces are the popular option among adult orthodontic patients because the aligners are practically invisible, the treatment requires fewer visits to the orthodontist than metal braces, and you still have the freedom to eat whatever you want without restrictions. There are plenty of Invisalign rules to follow but, overall, adults appreciate the flexibility of these under-the-radar braces and the faster treatment time. The “Elite Preferred Provider” title is important when it comes to Invisalign providers. This innovative technique of straightening teeth using nearly invisible aligners is a specialty. Not every orthodontist is qualified to provide Invisalign. When you want to straighten your teeth and you are interested in Invisalign, choose a dentist who has experience and skill. 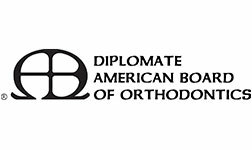 The Elite designation granted to Roberts & de Marsche is evidence of a dedicated, experienced, orthodontic practice. We have successfully treated over 2,000 Invisalign patients. Along with Invisalign for adults, Invisalign Teen is available. While some parents may assume their adolescent may not be up for the responsibility of Invisalign, this orthodontic treatment is often so appealing to teens that they are some of the most dedicated patients. They follow their treatment plan to the letter, ensuring that their teeth are straightened the right way at the right time, for a shorter overall orthodontic experience. Drs. Roberts & de Marsche are dedicated to making orthodontic treatment accessible and convenient to every patient. If it is difficult for you to take time off work or take your child out of school for appointments, our offices have Saturday hours. Our staff is friendly and works hard to provide a comfortable, gentle, orthodontic experience from start to finish. After all, braces of any kind take time. We will get to know you and you will get to know us and, together we will develop relationships and establish trust. We are dedicated to making every individual’s braces journey as pleasant and easy as possible. Take the path to a straight smile. Schedule your consultation at Roberts & de Marsche’s Center City or Lawrenceville, NJ, office. All I have to say is Dr. Roberts is the best! He has great staff and overall you’ll leave satisfied! I just finished my invisaline treatment by Dr. Roberts. He did a fantastic job. Also, His staff was accommodating and very friendly. I would have no problem recommending Dr. Roberts to my friends and family. Thanks Again! I highly recommend Dr, Roberts! He takes his time with you as a patient, and personally cares about your individual treatment. I am very happy with my smile!